Opponent tries sweeping Paulo Miyao from half-guard at 2011 Pan. 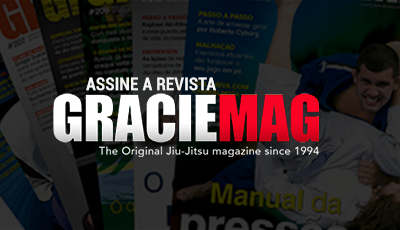 Photo by Ivan Trindade/GRACIEMAG.com. 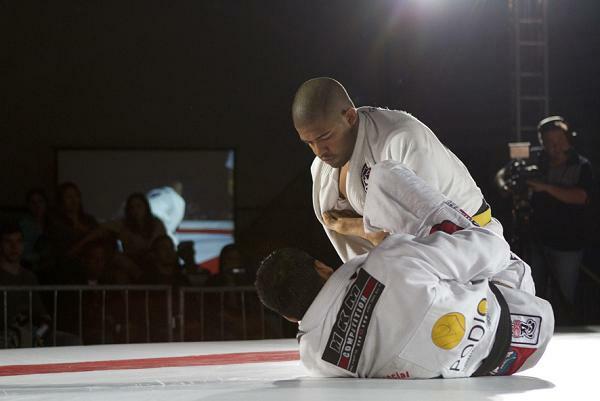 Fernando Nassif is a Jiu-Jitsu professor at California-based academy Gracie Barra San Clemente, a school belonging to our association, the GMA. So today Fernando shows us seven steps for getting a mounted opponent off you, putting him in half-guard and sweeping him. 1. Use your elbows to get the opponent off your chest. 2. Extend your leg and latch on to one of his legs with your legs. 3. Turn sideways, open up room and grab the opponent’s belt. 4. One of the key steps: rock your legs back and forth sideways to get hold of his ankle and then bring your knee up between his legs..
5. Kick his leg up and, holding his leg firm, push his leg with your foot. 6. Look outside and kick until you are positioned behind the opponent. 7. Posting firm on your foot, pull his knee and complete the sweep.